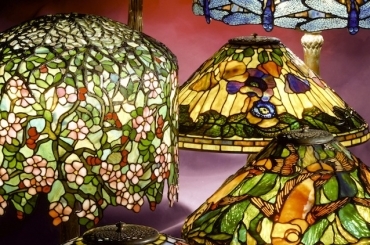 Dragonfly shades have always been one of the most popular Tiffany Studios lamp motifs. 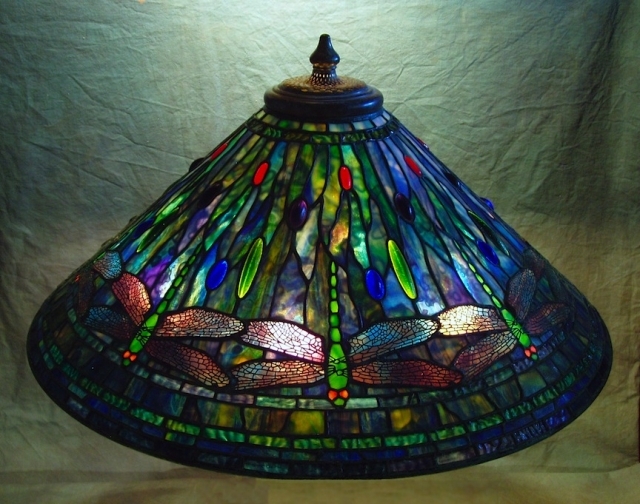 This large 28″ Dragonfly shade features dragonflies formally positioned against a jeweled background. Commissioned by a local client in 2008, the overall tone of the shade is a brooding mix of blues, greens and purples. Shots of brighter greens in the dragonfly bodies, jewels, and border rows, along with a few red jewels enliven the mix of color.